Taiga Bean Geese Anser fabalis fabalis breed discontinuously in the boreal zone from Fennoscandia to Western Siberia and winter in North-west Europe and Central Asia. The Taiga Bean Goose is one of the few declining goose populations in the Western Palearctic; the wintering population size, estimated at 100,000 birds in the mid-1990s, had decreased to 63,000 by 2009. The Bean Goose is globally categorised as a species of Least Concern in the IUCN Red List, because no distinction is made between the subspecies, and the population of the Tundra Bean Goose Anser fabalis rossicus is considered stable and is much more abundant than the Taiga Bean Goose. Under AEWA, however, a distinction is made between the subspecies and subsequently the North-east European/North-west European population of the Taiga Bean Goose is listed on Column A, Category 3c* of Table 1 of the AEWA Action Plan. 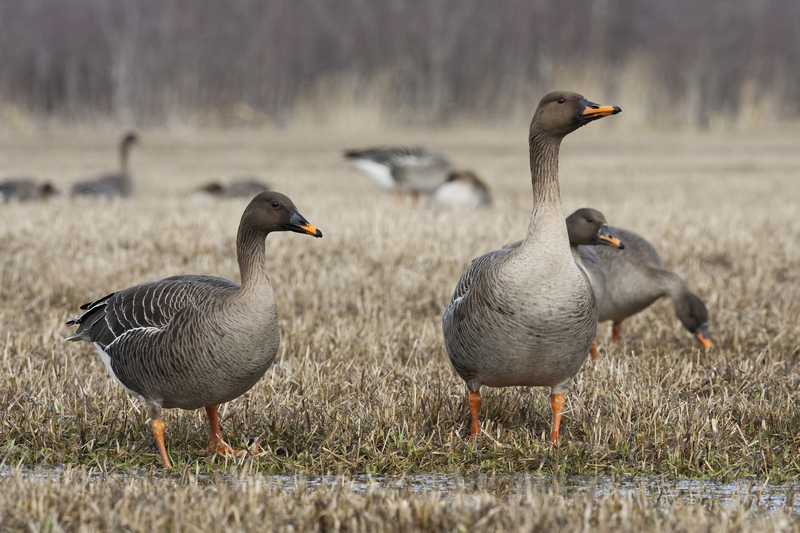 The current categorisation means that hunting of the Taiga Bean Goose may still continue on a sustainable use basis within the framework of an International Single Species Action Plan. The other AEWA-listed population of the Taiga Bean Goose (West & Central Siberia/Turkmenistan to W China) is on Column A, Category 1c, which implies strict protection. 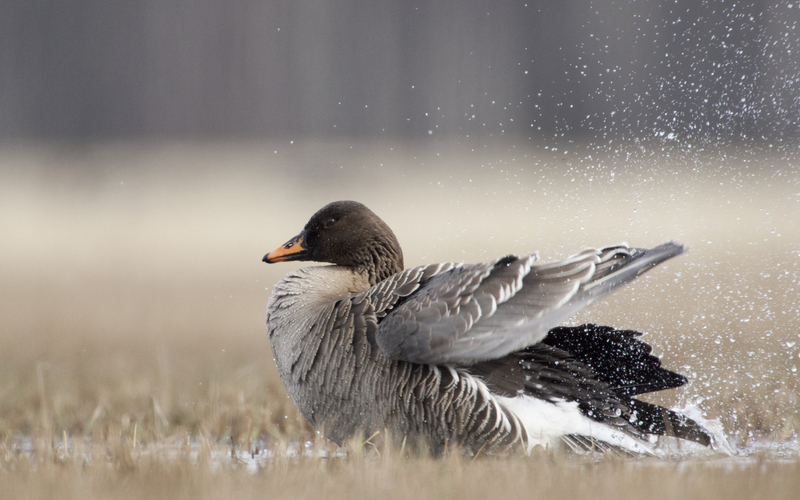 This AEWA International Single Species Action Plan for the Conservation of the Taiga Bean Goose is the first flyway conservation plan under the Agreement for a species in decline which is still open for hunting. 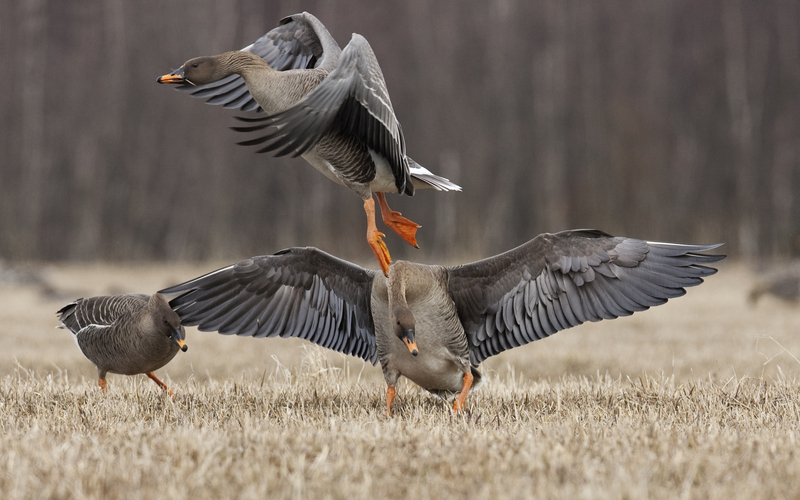 The Plan outlines the distribution and status of the subspecies, actual or potential threats to the Taiga Bean Goose, and lays out the framework for action including an overall action plan goal, objectives and key actions to achieve the required results. 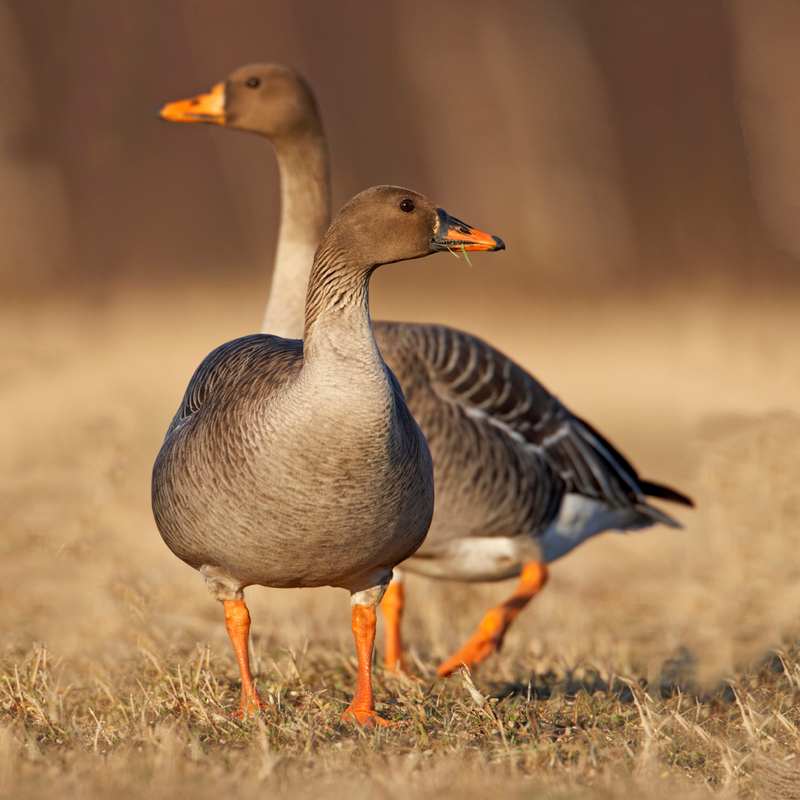 The EGMP will help to support the implementation of the framework for action for the Taiga Bean Goose. The Action Plan covers the entire subspecies Anser fabalis fabalis which is confined to the Western Palearctic and western parts of the Eastern Palearctic. Four sub-populations can be recognised based on their different breeding and wintering areas, identified as management units. Western Management Unit: Norway* (b), Sweden* (b), Denmark (w), UK (w). Central Management Unit: Russia (b), Finland (b), northern Norway** (b), northern Sweden** (b), Denmark (w), Germany*** (w), the Netherlands***/****(w), Poland***(w), southern Sweden*(w). Eastern 2 Management Unit: Russia (b), China (w), Kazakhstan (w), Kyrgyzstan (w). Countries marked in bold = EGMP Range States. *small numbers may be wintering here. **the border between the Western and Central unit breeding birds in northern Norway and northern Sweden is unclear. ****it is unclear whether the birds observed in the Netherlands belong to the Central or Eastern1 MU, the numbers are however very low.